Firstly apologies for not blogging, I've been ill. I had a stinking cold, which resulted in no training and has been irritating. I'm settling back into living at home and my new job and I even think my wife is enjoying having me back despite my "hamster-like qualities". Apparently I have a habit of creating nests out of clothes AKA being too lazy to hang my clothes up. OOOPS. As discussed previously I have been formulating a plan for my triathlons in 2013 and things are nearly finalised. Clitheroe triathlon in erm... Clitheroe on the 14th April 2013, this is a 3/4 olympic distance triathlon in my home town and I am looking forward to me family being there to support me. Potentially the Rother Valley Sprint in Sheffield on the 9th June 2013. The Outlaw in Nottingham on the 7th July 2013, the big one and my first full distance triathlon. I really hope my legs are up to the 26.2 mile run after completing the 2.4 mile swim and 112 mile bike ride. The London triathlon on July 27th in London. I am completing this as I have unfinished business with this triathlon after this year. 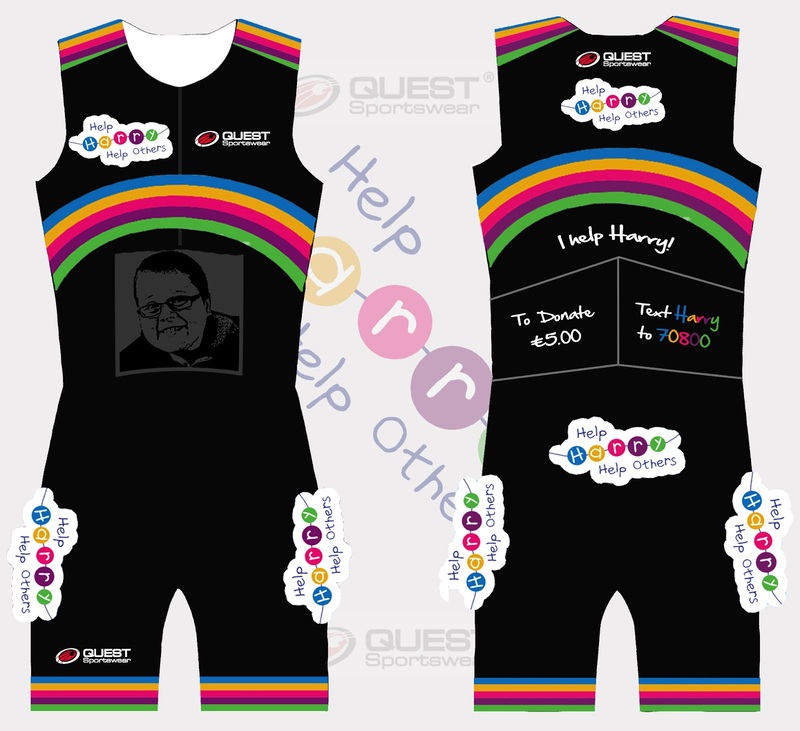 Al these triathlons are for Harry Moseley and his charity Help Harry Help Others. I hope my stubbornness sees me complete all the triathlons and raise lots of money for the charity. I was lucky to go the inaugural charity ball for HHHO and had a fantastic time with my wife. I have also contacted Compressport about doing me some custom calf guards to compliment my trisuit design and they have said this could be a possibility. I hope they can sort these out. Triathlon is again proving an expensive hobby. 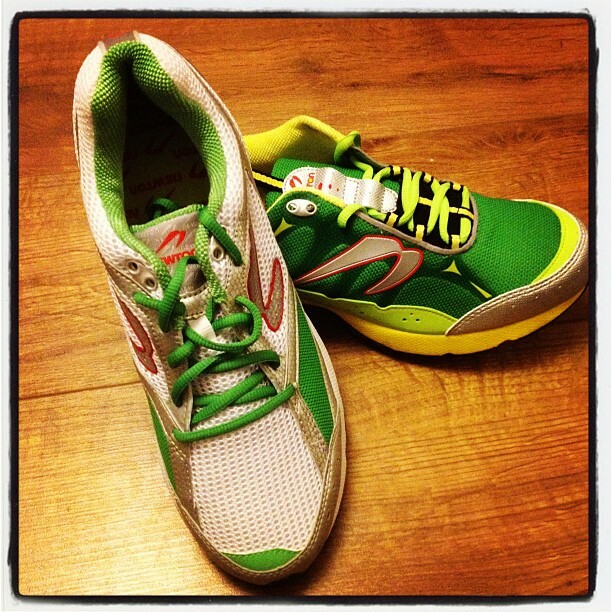 Recently I have bought some new trainers as Newton Running had a BOGOF offer on, which equated to two pairs for £120. I also think I will need a new wetsuit for next season given I am dieting at the moment. I have to find some way of making the running easier on my knees. Since my last blog I have finally joined a gym. I have decided to grace Nuffield Health in Doncaster with my presence. I will mostly be doing my swimming training there but I may be tempted to spin at some point. Before my cold, I managed to set a new PB in the pool by completing 1500m in sub 30 by completing it in 29:47. This was on day two of joining the gym and on day one I only just missed out on the sub 30 by completing the distance in 30:59. I haven't swum in two weeks since I contracted the evil lurgy. After finally changing from my racing tyres to my normal tyres, I have put some time on the turbo trainer. On Saturday I completed an easy hour and cycled 35km. I was quite happy with this and was glad to get some time in the saddle. I should have ridden outside but I was a little pushed for time as I had to complete my Christmas shopping. Aren't I organised? Since my last blog I have completed three runs. Two before my cold and one since. The first two were to break in my new Newton Gravity trainers but they rubbed some of my toes. These shoes were bought for racing but I am not happy about the rubbing. I will have to investigate. I then bought a pair of Newton Sir Isaac and Newton Terra Momentus in their BOGOF offer and the Sir Isaac are very comfy. I can't wait to get some more miles in them. The Terra Momentus were bought with the aim of completing some trail runs over the winter months. Run 1 was just over 2km, run 2 was just over 4km and run 3 was just under 2km. I plan on slowly building my distances up over the winter months and will try and stick to the training plan I have been set by Karen. As previously discussed I was trying to find a triathlon club, I am now proud to say I will be joining a new club based in Sheffield. 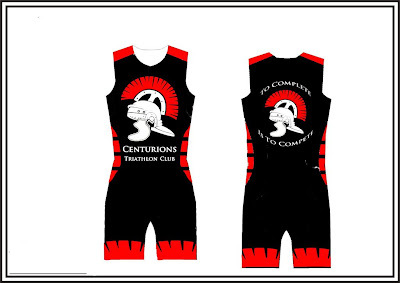 The name of the club is Centurions Triathlon. I was invited by the founder to design their trisuit and I think I came up with a cracking design. The design has been sent to Quest Sportwear and I am sure they won't disappoint with the finalisation. I can't wait to see the pimped up design. It has even been rumoured that I could help with coaching the new club. Honestly me a triathlon coach. Who'd have thought that would happen? If you would like to sponsor me, please visit my Justgiving page. Thanks for reading and hopefully I will be back to blogging regularly now I am over the lurgy.